Japanese Street Food Feast is set for this Saturday, April 8 in Nashville. 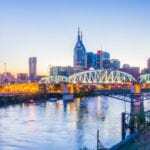 NASHVILLE, TN — A veritable Japanese street food feast – with offerings both savory and sweet – awaits festival goers Saturday, April 8th at the Ninth Annual Nashville Cherry Blossom Festival. 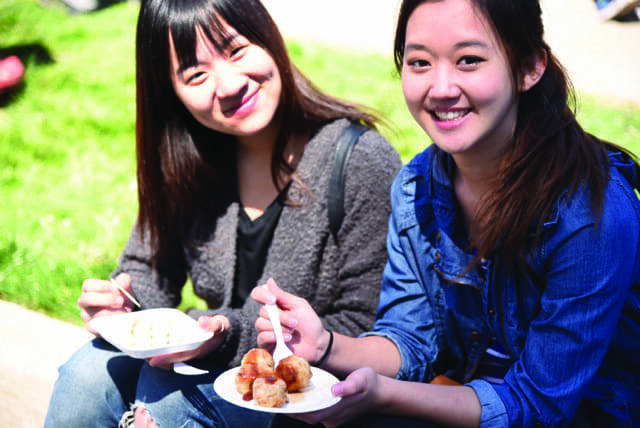 Authentic Japanese and Japanese-inspired menus from the largest array of food trucks and vendors to-date are sure to whet appetites large and small at the annual spring festival. Included among the tasty traditional street food snacks from Japan featured this year will be Yakitori, bite-sized food on a skewer; Okonomiyaki, a savory filled and grilled pancake; Takoyaki, grilled octopus fritters; Bento, a Japanese-style boxed lunch; Ramen, wheat noodles in a fish or meat broth; Yakisoba, “fried noodles” with pork and vegetables; Teriyaki chicken, marinated in sweet soy sauce and grilled; and Mitarashi Dango, rice dumplings grilled and covered in a sweet, soy-based sauce. Especially exciting this year is a “festival first” in the form of “mochitsuki” (rice-cake pounding) demonstrations staged jointly by the Consulate General of Japan in Nashville and the Middle Tennessee Japan Society. Using traditional tools of mallet and mortar, the groups will produce authentic mochi (rice cakes) that Festival goers will be invited to sample, while supplies last! Held annually at Nashville’s Public Square, the Festival is admission-free and family-friendly. The Nashville Cherry Blossom Festival and Walk is a joint undertaking of the nonprofit Japan-America Society of Tennessee, the Consulate-General of Japan in Nashville, The Office of Mayor Megan Barry and the government of Metropolitan Nashville and Davidson County and Sister Cities of Nashville. An Advisory Council led by private-sector Co-Chairs Clay and Cathy Jackson and a working committee of active community volunteers provide essential support for the annual celebration. Primary funding is provided by civic-minded corporate sponsors and individual donors. Tax deductible donations may be made online or on-site at the festival.